Have you found time to let your creative side have some fun yet this year? What are you waiting for? We have some great classes and retreats. We know one or two are right for you! Join the fun. Does your creative side need piecing to be just a little bit easier? We can help make sewing or quilting easier for you! We have found that many quilters really don’t know that a great sewing machine is the key to success. Elna is that machine! We stock the units that we believe fit the needs of the majority and we will order any of their models. We have embroidery and sewing machines here for a test drive. In case you do not know—Elna and Janome are made at the same factory and share many of the exact machines. We have been an Elna dealer for over seven years and we want to make sure you know that we will beat any price quoted by other Janome/Elna dealers. We want to make sure you get the best price so you are still able to buy what you love the most...MORE FABRIC! We service all models sold in our store. We also have a service center we use in McKinney-Advanced SewingMachine Solutions run by Ernesto Tames. He is THE BEST machine person in the metroplex with well over thirty years of experience. So you won’t have to go far for warranty work or service! Make sure to give us a call when you are shopping for prices on a new machine. Elna is a wonderful product with an awesome value. Are you ready to venture into long arm quilting? Handi Quilter is the best machine for the price on the market today. We have two units in the store for you to take a test drive. We also have the Sweet Sixteen sit down model for those lacking the room for a stand up model. We are dedicated to education for the long arm quilter. Jackie Brown is available for a class every Wednesday. We have national teachers set to come. We have rulers, stencils, pre-printed panels, books, panographs and so much more to help you achieve your goal to be successful at long arm quilting. With the Plano Quilt show August 9th & 10th, now is a great time to buy a demo model which will be used at the quilt show. The demo machines are the best pricing we have for the year. Make sure to take test drives and compare what you get for the money...we believe you will love the HandiQuilter machines. Our website has our latest fabric arrivals. The newest fabrics will show up first from each manufacturer. Look through our website or come touch the fabrics in the store. We have over 3,400bolts!!! “Summer Fun” by The Quilt Company is pictured online in Block of the Months. This fun quilt will begin as summer is in full swing-August. Take a look and reserve your kit now. Alice Wilhoit UFO retreat June 28th-30th-$175. Applique, embroidery, crazy patchwork, piecing, ribbon embroidery. Any project-Alice will help you! Laughter guaranteed. Eileen Urbanek retreat July 9th-11th or Nov. 8th-10th-$200. Judy Niemeyer national teacher will let you pick your project by skill level. Listed on our website. Jackie Brown Intermediate Machine Quilting retreat July 13th-15th-$195. Bring your domestic sewing machine or Handi-Quilter sit-down unit. Beautiful sample to show the wonderful techniques Jackie has to share with you. Brenda Asmus retreat Sept. 6th-8th-$195. National educator for Marti Michell. Brenda will teach the new Pineapple Ruler. Choose from two sizes. Available for any questions on Marti product during retreat. Jackie Brown Machine Quilting retreat Sept. 13th-15th-$195. Bring your domestic sewing machine or Handi-Quilter sit-down unit and learn the basics. FYI: We join small groups together for private retreats. Let us know if your small group is interested. You will love getting to know other quilters! Want to book a retreat? to see available dates then give us a call with questions! Quilter’s Snowflake taught by Richard Larson Saturday June 22nd 9:30-4:00 for $50. This beautiful quilt has a large centered medallion with a feathered star surrounded by hunter’s star blocks. 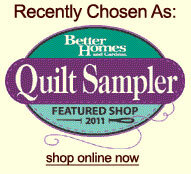 It was featured in the December 2005 Quilters Newsletter magazine. The pattern is included in the price. This class has homework that must be done before class. Beautiful sample is hanging in our store. This project is beautiful with several color choices. Wool Applique w/silk ribbon embroidery Thurs. July 25th, 10-4 for $40. Wool is fast becoming a favorite way of appliqué. There are no seams to turn under! In class you will learn techniques using wool, embroidery and silk ribbon as you construct a lovely basket block. This is such a comforting fiber. Have fun learning how to incorporate wool into your future projects. Basic Hand Embroidery Friday July 19th, 10-4 for $45. Spend a few hours with Alice and learn how to embroidery or to brush up on those stitches. This is a technique class open to beginners or advanced individuals. All you need to bring is scissors! Everything you need is furnished in a kit. She will also show you some products that make embroidery so much faster! You will have a fun day of stitching. Fireworks Wed. June 26th, 10-4 for $40. Let’s celebrate our country by making a fabulous quilt for July. We’ll cut the kit with Alice’s custom made GO! die (this is optional), you just come and sew!! This is a curved pieced project. Believe it or not it is simple piecing! Students are always amazed at the results they get in such a short time. Join us and make this stunning project in original colors or venture off with a light background. It is even gorgeous with a floral print. Double Wedding Ring tablerunner Thursday August 22nd, 10-4 for $40. This quilt pattern is a classic. Been afraid to tackle this it on your own? Here is a method for you. Learn to use an acrylic template to make this table runner by sewing machine. Learn the technique and make a larger quilt in the future. Beginning Quilting Sat. July 20th (9:30-4 for $40). This class will take you from cutting to binding in one six-hour class. We will cover rotary cutting, simple piecing, borders, making the sandwich, machine quilting, squaring the quilt, and binding. What’s the catch? The project will be a candle mat or table topper. The only way to experience a “quilt-in-a-day” is to make a very small quilt. I will share a wealth of quilting knowledge and tips with you as you make this small project. This is for students who are truly beginners and need an introduction to our craft. Tell your non-quilting friends so they can become quilters too! Kindergarten Machine Quilting Fri. July 26th. Do you just make tops? Is the cost of having everything quilted for you stifling your creativity? This class teaches you the basics of machine quilting. Straight line, free form, quilt-in-the-ditch, outline, grid, channel, and stipple quilting will all be covered, plus basting, marking and binding. Come learn how to finish your entire project yourself! Quilt & Connect Machine Quilting class Sat. August 24th. Divide your quilt into small, more workable sections and conquer the problems associated with quilting bulky bed quilts. The sections are lighter, can fit through the opening of your sewing machine, and are easily maneuverable. You will learn four techniques for putting your sections together after they are quilted. Come and learn this common sense approach for finally getting those bed-sized projects finished! Painless Paper Piecing Sat. June 29th, 9:30-3 for $30. A better than ever method of paper piecing. (You do NOT sew through the paper.) Guess what? No more tearing off all those little paper pieces. Use one piece of freezer paper over and over. This session the project will be a mini “Goose Chase Log Cabin.” This striking sample is hanging in the store. Learn to paper piece the painless way! Dear Jane The ULTIMATE Sampler! This class is taught by technique and you are guaranteed to come away learning a shortcut or two and/or new techniques. Let Sarah help you with fabric selection. She will take all the "wonder how she made that one" out of it for you. Dear Jane book required. Class meets July 13th, August 10th, & Sept. 14th from 10-3 and the cost is $10 per class. Hand Quilting Thurs. July 18th from 1-4 for $20. Sarah is an award winning hand quilter. She has been hired many times to hand quilt guild raffle quilts, their president’s quilts, and for preservation society projects. She will discuss all the factors that influence your quilting stitches-batting, threads, needles, thimbles, fabric specifics. She will show you various tools of the trade. She will demonstrate quilting and work with you on your quilting stitch. Come sharpen your skills or take a stab at learning this beautiful way to finish your quilt. Level 1: Basic Pantograph Long Arm Quilting class Wed. July 10th, July 31st, or Aug. 21st; 9:30-3:30 for $150. Learning to stitch a pantograph pattern on your quilt is an easy and fast way to make your quilt look like you had a professional quilted it. The basic steps will get you started on learning how to put a nice pantograph design on your quilt. Jackie will teach the six steps to get started becoming a confident long arm quilter. Level 2: Custom long arm quilting class Wed. June 19th, July 17th, Aug. 7th or Aug. 28th; 9:30-3:30 for $200. Would you like to learn how to make your quilts stand out with some custom quilting? This class will teach you the basics of custom quilting. It’s fun and you can use your creative mind to enhance your quilt. You can say you quilted it and had fun doing it. Jackie will teach seven steps to get started becoming a custom long arm quilter. Level 3: Artistic Custom Quilting class Wed. June 26h, July 24th, or Aug. 14th; 9:30-3:30 for $250. After completing Level 1 and Level 2 classes you are now on your way to Artistic quilting. This class will take you to the level of a professional quilter, with lots of practice, patience and determination! You can make your quilts stand out in a crowd. Your family and friends will ask if you had a professional quilt it, and you can proudly say, “I quilted it”!! Jackie will teach the six steps to getting started to becoming a Artistic Long Arm Quilter. Plan Ahead: SPECIAL Event. “The” Pearl Pereira of P3 Designs is coming (from California) to Quiltagious Quarters for two retreats in October. She will be available for a one day class teaching her freezer paper starch method October 17th in the Quilt Mercantile classroom (The weekend retreat is already full! Add you name to the backup list for any cancellation. Week day retreat has two openings ). Sign up quick so you don’t miss her...limited space in class. Supplies and information click here. Pre-registration is a must. 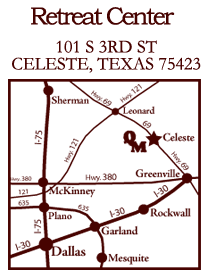 Classes must be paid in full at time of registration unless otherwise noted. We consider your enrollment to be a commitment by you to the teacher. Class fees will only be refunded if we are notified seven days before class date. Make checks payable directly to the teacher and mail to PO BOX 418. Credit card are not accepted for class or retreat payments. Please do not bring children or guests to class. Only paying participants are allowed to stay all day in the classroom area. Please park in spaces next to Highway 69. Unloading only by the store. Please park by highway. Be sure to pick up the items on your supply list prior to class so you can be prepared with supplies and fabrics. Be ready to learn and have fun! August 9th & 10th. HandiQuilter specials!